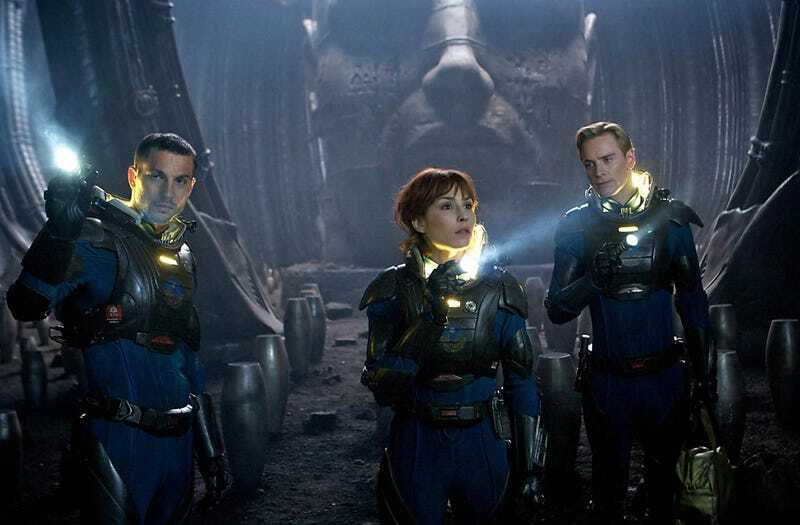 Somehow, the news that Ridley Scott wants to make three Prometheus sequels is not the most ridiculous Prometheus news this week. Scott himself announced the sequel to the semi-Alien-prequel will now be named Alien: Paradise Lost—which is super-strange given that Scott literally said Prometheus 2 has nothing to do with the Alien movies as recently as 48 hours ago. Yes [it will connect to Alien], but it won’t be in the next one. It will be in the one after this one or maybe even a fourth film before we get back into the Alien franchise… The whole point of it is to explain the Alien franchise and to explain the how and why of the creation of the Alien itself. I can’t even begin to imagine what the truth is here, so there’s absolutely no point in speculating what the movie might actually be and who, besides Noomi Rapace and Michael Fassbender’s severed head, might be in it. I will, however, happily speculate that Ridley Scott may be losing his damn mind.